Few things nowadays immediately evoke raw freedom and adventure. Traveling through a foreign country with nothing but a motorcycle, the gear on your saddle, and a group of close friends? That definitely counts as one of those things. From February 19 to 28, 2019, entrepreneur Lynn Sanchez did just that. 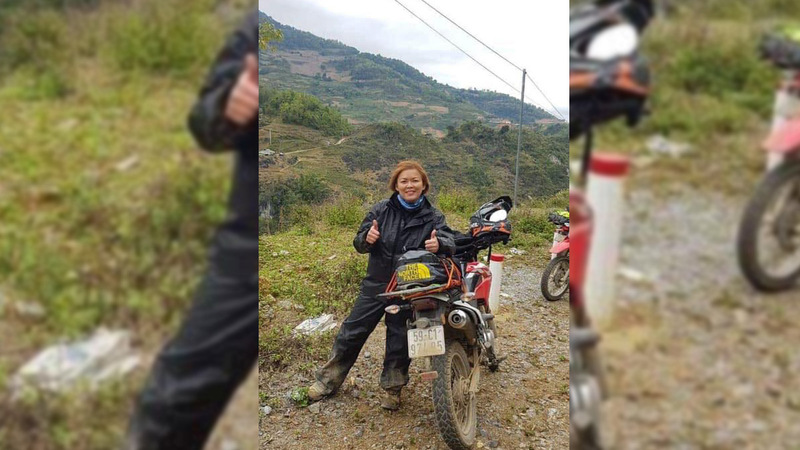 She rode through the so-called ‘Northern Vietnam loop’ for 10 days—the lone woman in a group that also included 12 other Ducati Unlimited Club (DUC, pronounced “duck”) and two guests. Here in Manila, Sanchez is a person who wears many hats, managing businesses in lighting, construction equipment rental, and manpower. Her self-proclaimed “addiction” to motorcycles evolved from a very practical reason—making the most of her waking hours. 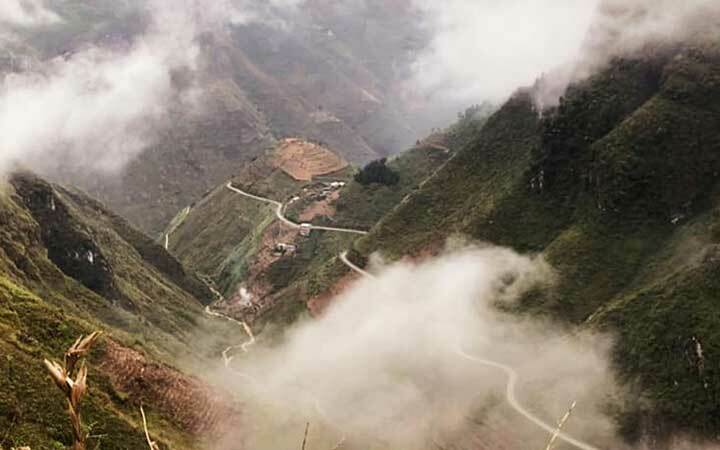 Trekking through Northern Vietnam’s mountain passes on a Honda XR150 is quite a leap from riding a Vespa through traffic jams. The trajectory traces back to Ducati Philippines. After about three months of commuting on a Vespa, Sanchez came into contact with the Italian company’s Philippine group and was eventually invited to participate in the Ducati Riding Experience (DRE) in 2017. Passion and perseverance helped her complete the riding clinic. “I really wanted to learn. Iba kasi if you really, really want it—you’ll really learn,” she said. After perusing a display of Ducatis during the DRE, Sanchez bought a Ducati Scrambler café racer (which has since been upgraded to a Ducati Monster 821 and a Scrambler 1100) to keep her newfound skills sharp and iron out beginner rider kinks, like forgetting to point the front wheel straight ahead when braking. Now, she is an active member of DUC, which has about 32 members (three of whom are women), and the Ducati Lady Riders PH. In a little over a year, she has gone through short rides, long rides, and trail rides—a commitment to the mantra “saddle time” that she said paid off when DUC organized its first international 10-day riding tour. Sanchez revealed that the idea for the Northern Vietnam motorbike tour gradually materialized from how DUC rides. Each month has a ride director or a member who organizes the rides (typically a short one and a long one). 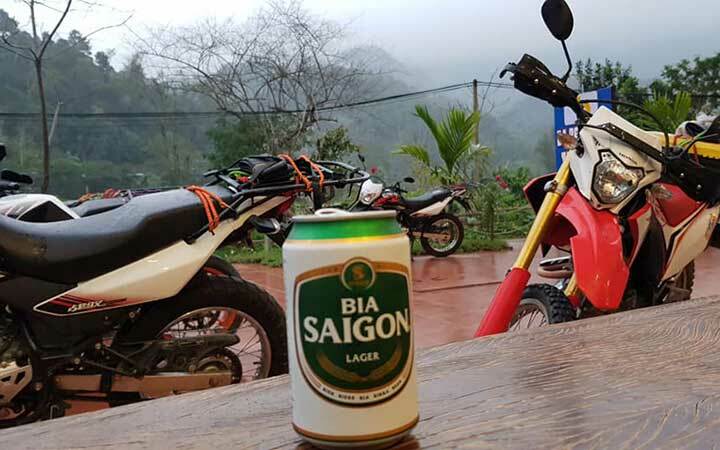 February ride director Eric Teng had been keen on doing a Vietnam trip for some time already. 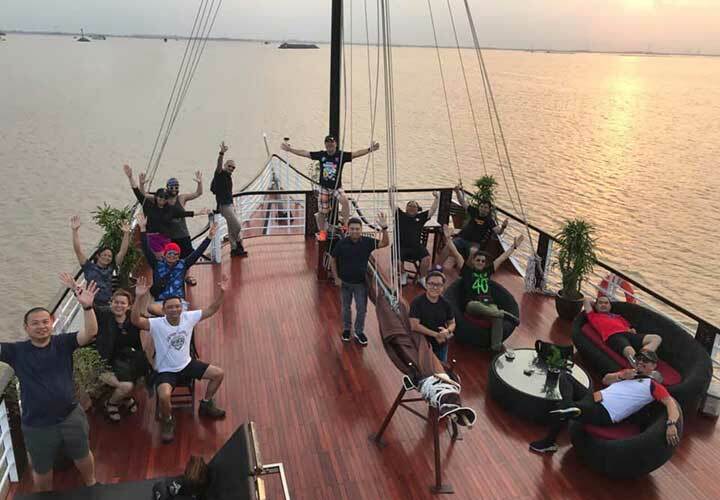 He planned the trip months in advance and presented it as a unique take on the group’s traditional 10-day riding tour. 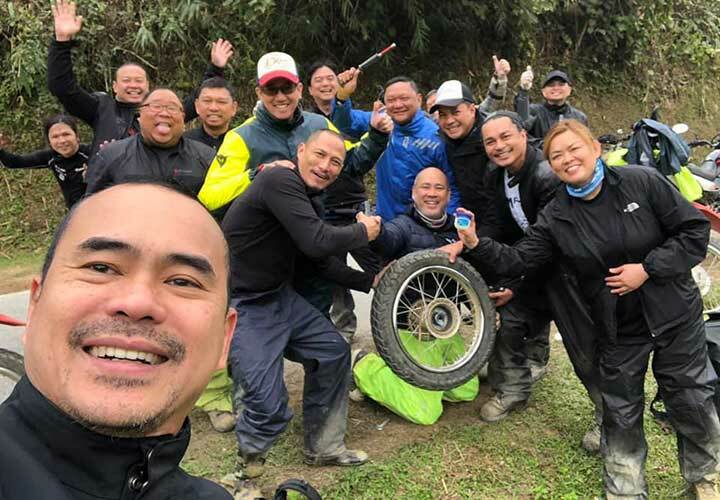 By mid-February, DUC’s first international 10-day tour kicked off with a total of 15 people: club president Gelo Roa; February ride director Eric Teng; members Rally Zamora, Lynn Sanchez, Mike Fernandez, Albert Tan Politico, Sonny Carandang, Raqs Frondoso, Alex Santos, Ericson Matutina, Allan Flores, and Jambee David; Norminring Motorbikes owner Jondi Lacson; and guests Deo Dato and Fred Penales. 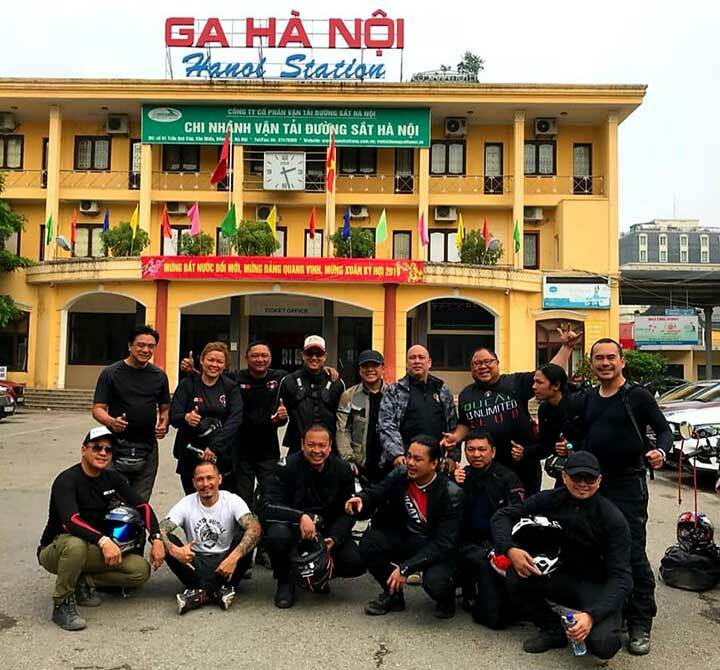 The route that DUC undertook (as the first group from the Philippines to ever do so) started in Hanoi, scaled the world-famous Ma Pi Leng Pass, passed through Cao Bang province, and rounded back to Hanoi. Six full days of riding with five to six hours spent directly on the saddle is a feat best weathered with close, like-minded friends. Even when the tour faced challenges, the riders’ spirits stayed high. 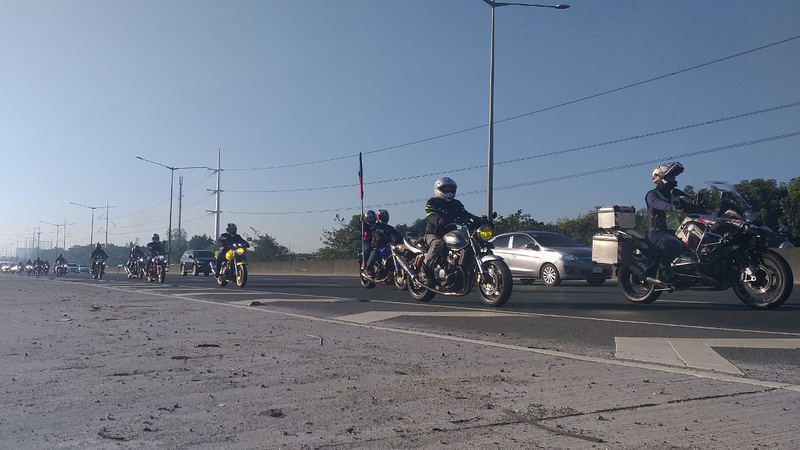 “How many DUCs does it take to change a flat tire?” Sanchez joked as she recounted a 15-person tulungan effort to replace the busted tire. As the trip progressed, she felt the group became more tight-knit as they bonded over parts of the route they found scary, helping each other out and reaching their destination (Ban Gioc Falls) as a unit. “We treated each other equally and they have this positive energy that really made me conquer my deepest, darkest fears,” she said.